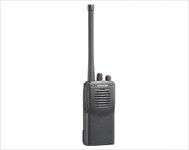 Starting with its compact design and moving to the kinds of features usually not seen in the radios in this price class, the TK-270/370 is the best communications partner for tough conditions. Whether your requirements include interconnect or not, this radio's multiple features and unique "layered" construction will fit your needs. TK-2000/3000 is supremely easy to handle, Slim, thin, light and to operate. With its well-balanced performance, it makes perfect business sense - especially for inventory control and service industry operations. 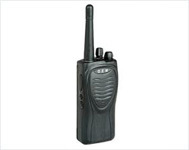 the TK 2000/3000 is very robust and reliable just like other Kenwood models as it meets or exceeds the stringent IP54 dust and water intrusion standards and at 203 grams with the KNB-63L battery fitted this unit is over 200 grams lighter than its main rival radios. TK-2107 / TK-3107 perfect for service industries and inventory control operations. Rugged, fully featured, easy to handle, and reasonably priced. 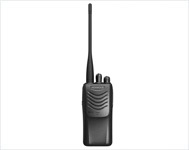 Kenwood has created a truly versatile and durable portable with the newest 60-Series radio, the TK-2160/3160. With a distinctive and compact design and more features than comparable models, this is the portable to choose for demanding work situations. TK-2160/3160 - TK-3160 available in Intrinsically Safe mode only. The regular models have been replaced with the TK-2360/3360. 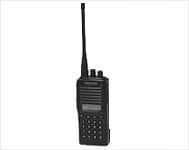 Kenwood's compact TK-3207G transceiver, based on a proven design, represents ergonomic excellence. Pick one up and you'll immediately appreciate how easy it is to use. 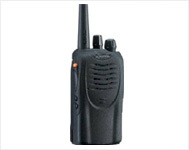 Powerful too, offering priority scan, built-in VOX, a voice scrambler and numerous other features. Plus you can count on reliable performance in all conditions, thanks to MIL-STD 810 & IP54/55 weatherproofing. Indoors or out, rain or shine, the smart new TK-3207G is a star performer.